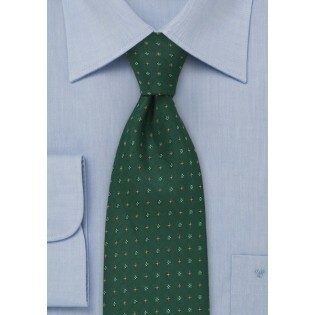 This high-quality microfiber tie from Puccini is ideal for those who are looking to add depth to their office attire. A forest green base sets the stage for the sophisticated gold pattern, and will surely turn heads around the office. 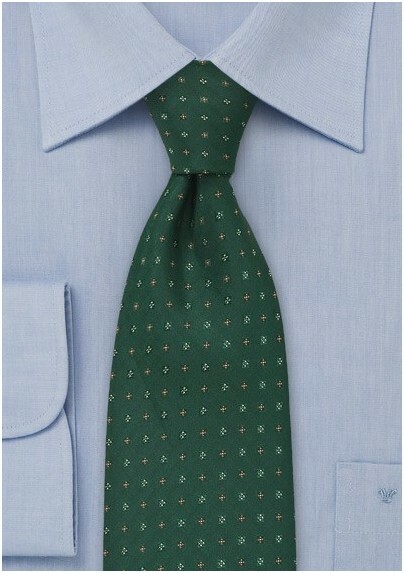 Puccini ties are among the best on the market, with this piece being no exception. If you want to create a strong contrast, consider pairing this forest green piece with a pair of black slacks and dress shoes, along with a black belt that features a gold buckle (which will pick up the pattern nicely).